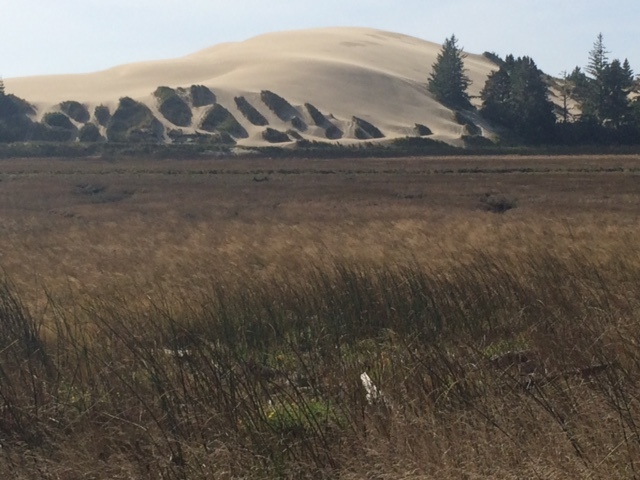 I spent the entire day rolling along US 101 within the Oregon Coast Dunes National Recreation Area. Tall trees shade the highway almost the entire way, while my diversions to the shore brought me into bright sunshine. I took a leisurely morning and left Florence when the mist cleared. Riding later in the day, which I avoided all summer, is not so bad when the thermometer never tops 70. Looking back on Florence, a lovely seaside town. 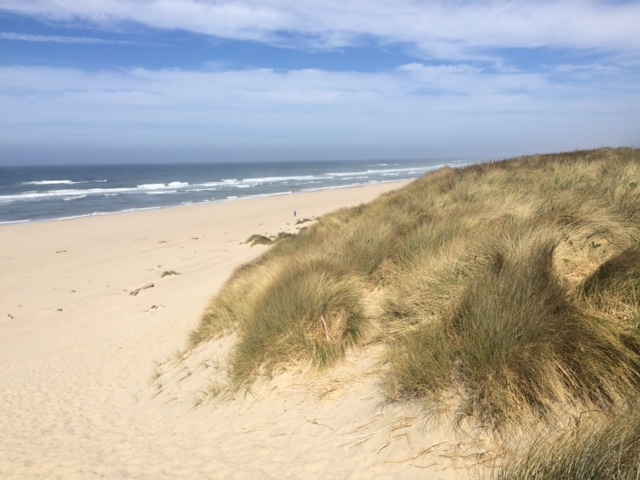 In places the dunes roll back to inlets behind the shore. 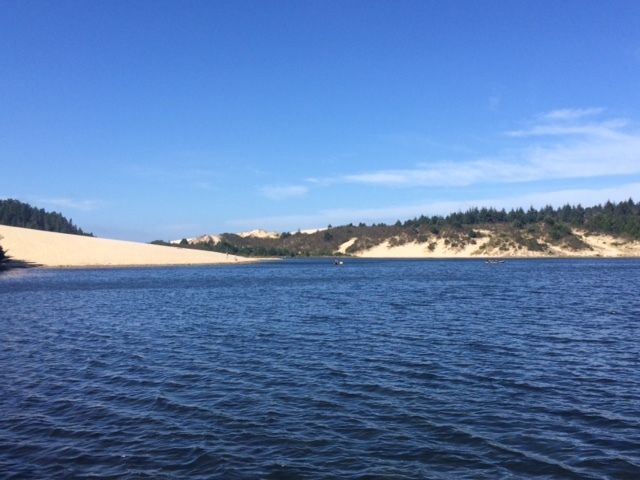 I went to the beach, climbed the dunes, and met a group of free spirits traveling in a van. Was there a word for folks like this before hippies? It seems so dated. Also met a guy in a khaki uniform sitting watch on the dune top to guard plovers, which are coming back in Oregon. 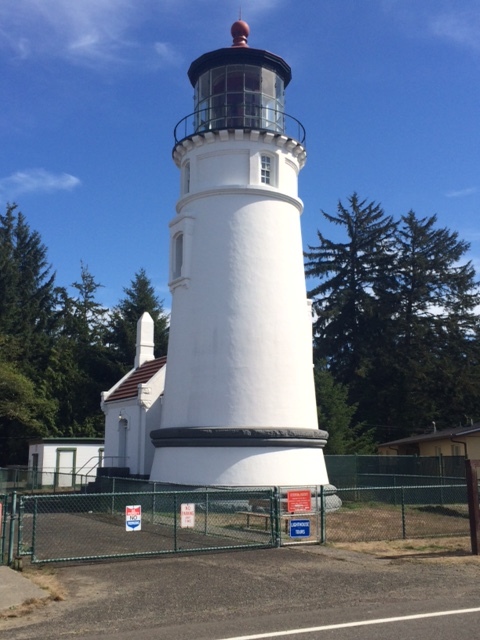 Further on was a terrific lighthouse and space of beach for whale watching. I am too inpatient to stand and wait for whales, so I kept on. 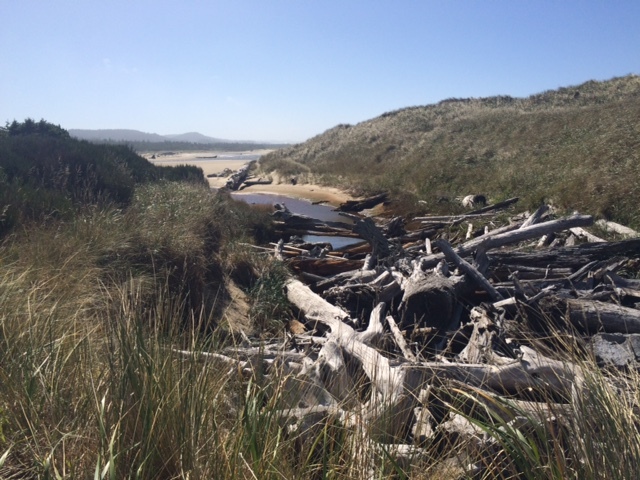 Near Coos Bay the forest and sand just seem to collide. 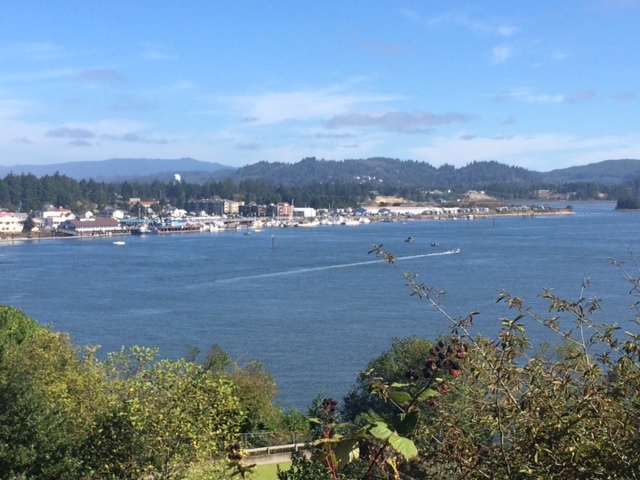 The Conde McCollough Memorial Bridge brought me into North Bend, a cool town. I was amazed at this giant tanker being filled with pulp. 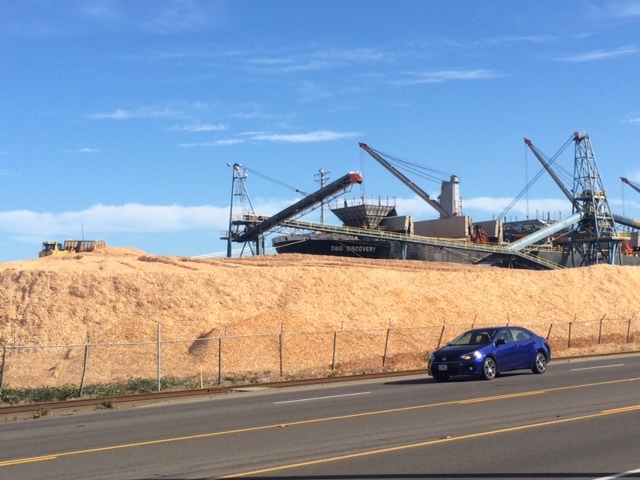 Apparently it is cheaper to fill ships with pulp, send them to Asia to make paper, and then send the paper back here. Our world is so nuts; sometimes all we can do is laugh. 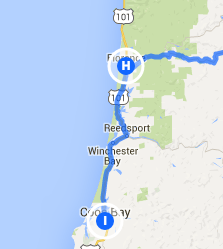 Got into Coos Bay at a reasonable time and found a nifty little motel for the night.